Twistfix has taken its warm roof fixing system to a new level. Twistfix supplies fantastic roofing fixings for over-rafter insulation, and a handy leveling tool which we have added to our existing range of insulation fixings in order to offer our customers the highest quality and cutting edge products which are available on the market today. 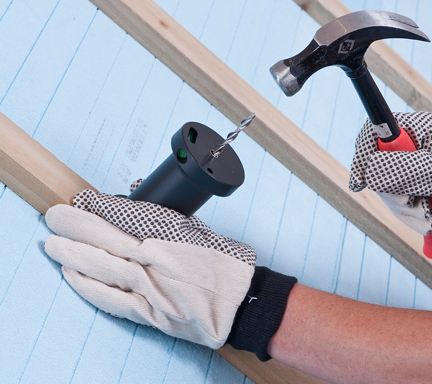 The warm roof insulation fixings have proved extremely popular amongst a number of our customers including roofing contractors and house builders. They are ideal for fixing Celotex, Kingspan and Eco-Therm Insulation board above rafter level. The 7mm diameter Thor Helical nails offer customers superior performance against wind loads and sliding loads than the less robust 6mm inskew type fixings which are available on the market elsewhere. 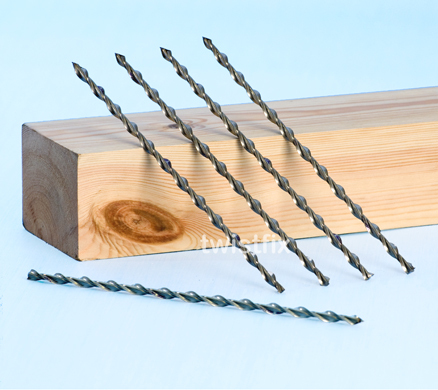 Our Super-7 warm roof fixings have a CSA over 20% greater than the Inskew 600 which results in reducing buckling tendencies and delivering far better performance.­ Indeed at insulation depths of over 100mm the 7mm product typically requires just over half the nails required when using 6mm helical nails when calculated using the same BRE approved calculation method. Costs are reduced substantially because less nails are required when fixing the deep warm roofing insulation boards over the pitched roof rafters. You can visit www.­heliCalc.­co.­uk in order to calculate the correct size and quantity you will require of Super-7 warm roof insulation fixings and also check that your warm roofing project will meet the requirements of BS 6399 Parts 2 and 3 as well as Euro-code requirements. This tool is great for eliminating any deficiencies which have been associated in skew fixing over rafter insulation whilst ensuring accuracy is achieved at all times. There is a double ledge seat on the patented leveing tooll is arranged to fit batten widths of 37mm as well as 50mm. For more information then please do not hesitate to contact us on 0845 1236007 or email sales@twistfix.co.uk.